Come to an art retreat and chase the rainbow in Moonambel, now the weather is a little colder and the rain comes and goes, but the sun still shines in between. Or you can just relax, read a book, and wine and dine. You can walk or dig for gold! 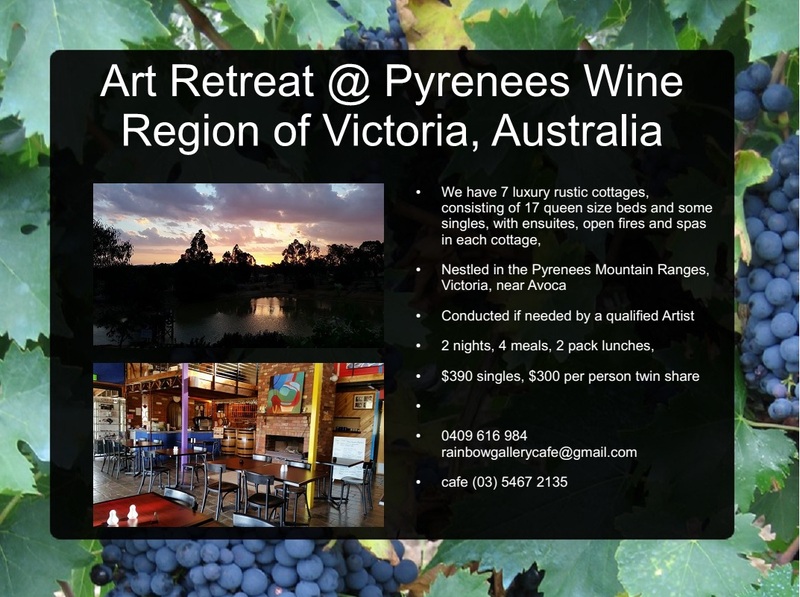 This entry was posted in art retreat, Rainbow Gallery and tagged Grampians, Moonambel, Moonbeam cottages, Pyrenees Wine. Bookmark the permalink.